I'm really happy to be the guest writer on BILD today. 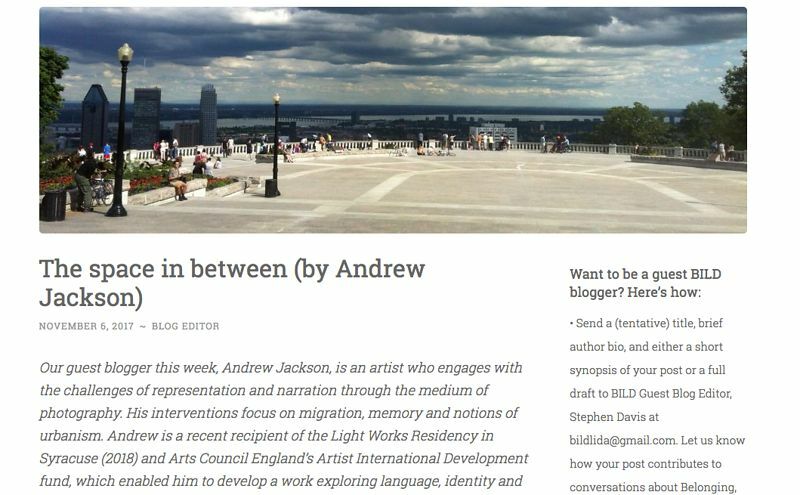 BILD is a critical sociolinguistic research community that focuses on Belonging, Identity, Language and Diversity at Concordia University in Montreal. "Outside of the window, beyond the hermetically sealed world in which I sit—whilst stewards check the integrity of locks on overhead lockers and passengers tighten their seat belts, some whispering silent prayers—grey puddles of water ripple into small waves as they are blown along the tarmac and then atomised into the wind by the growing thrust of jet engines, which exhale the power of technology that will take me from stillness, towards flight, and the ensuing spaces of a new world to come."